* WHAT ...snow. Snow accumulations of up to one inch, mainly east of i-65. Light freezing drizzle may be possible on the back end of the snow showers and could create a glaze of ice on surfaces. * WHERE...portions of and south central Indiana and east central, north central, northwest and south central Kentucky. * WHEN ...Until 11 pm est /10 pm cst/ this evening. * Additional Details...Plan on slippery road conditions. The hazardous conditions could impact the evening rush hour commute. 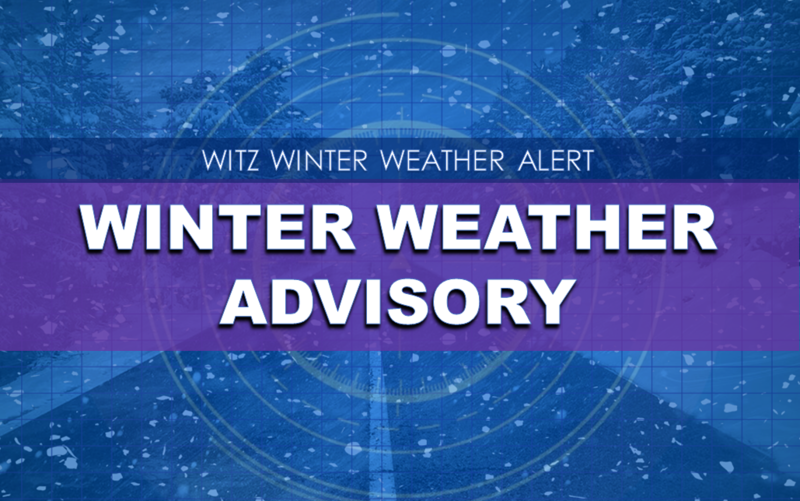 Precautionary/preparedness actions... A winter weather advisory for snow means periods of snow will cause primarily travel difficulties. ...Light accumulations possible with snow showers... A band of light to moderate snow will move through southern Indiana and central Kentucky this afternoon and evening. Light snow accumulations of a half inch to an inch are possible with this snow, mainly on elevated surfaces. Slick spots could develop on roads, especially on untreated bridges and overpasses. This snow will move through during rush hour across the Louisville and Lexington metro areas.